Woodland caribou conservation is a complex issue in Canada’s boreal forest. Developing public policy around caribou conservation requires a sustainable approach – one that balances environmental, social and economic considerations. The government of Quebec, as with the other Canadian provinces where woodland caribou habitat is found, will soon be proposing a caribou conservation plan. This plan must meet the requirements of the Federal Woodland Caribou Recovery Strategy that was released as part of the Species at Risk Act. This video, recently released by the Montreal Economic Institute, explores this issue. Several Resolute employees from the Côte-Nord region of Quebec are featured. 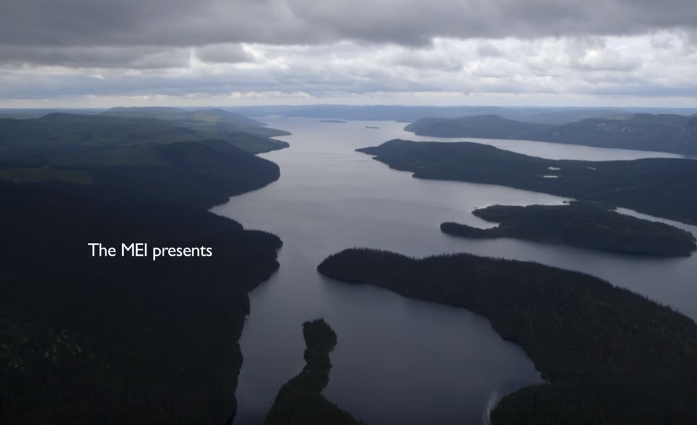 One of our foresters, Charles-Andre Préfontaine, explains how forestry activities and caribou populations coexist in the region, while another forester, Denis Villeneuve, takes us up in a helicopter 200 kilometres north of Baie-Comeau for a closer look at some choice caribou habitat. In Quebec (as in Ontario, the other province where we operate in Canada), more than 75% of the caribou range is actually located outside of the area where forestry is allowed. There are a variety of factors that impact caribou herds such as hunting, predation, forage availability, habitat disturbance, pests and diseases, some of which may be accentuated by climate change and increased human presence. These and many other factors must be considered by the provincial governments who are responsible for developing caribou conservation plans, with active collaboration from forest products companies like Resolute. We encourage anyone interested in caribou conservation in the boreal to take a look at this video. The Montreal Economic Institute also prepared a paper on the subject. You can read it here. To learn more about how we work to safeguard caribou in the boreal forest, please visit Boreal Forest Facts.